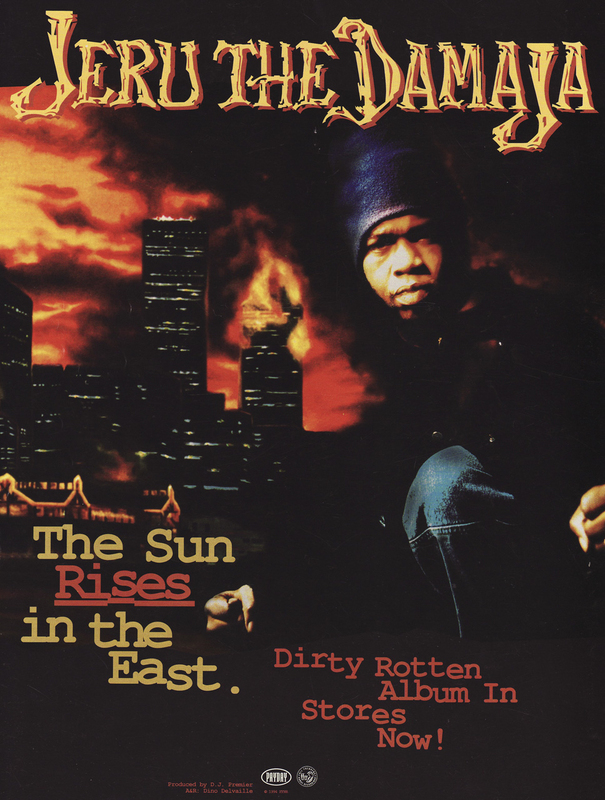 Jeru The Damaja's classic debut album, 'The Sun Rises In The East,' was released on this day in 1994. 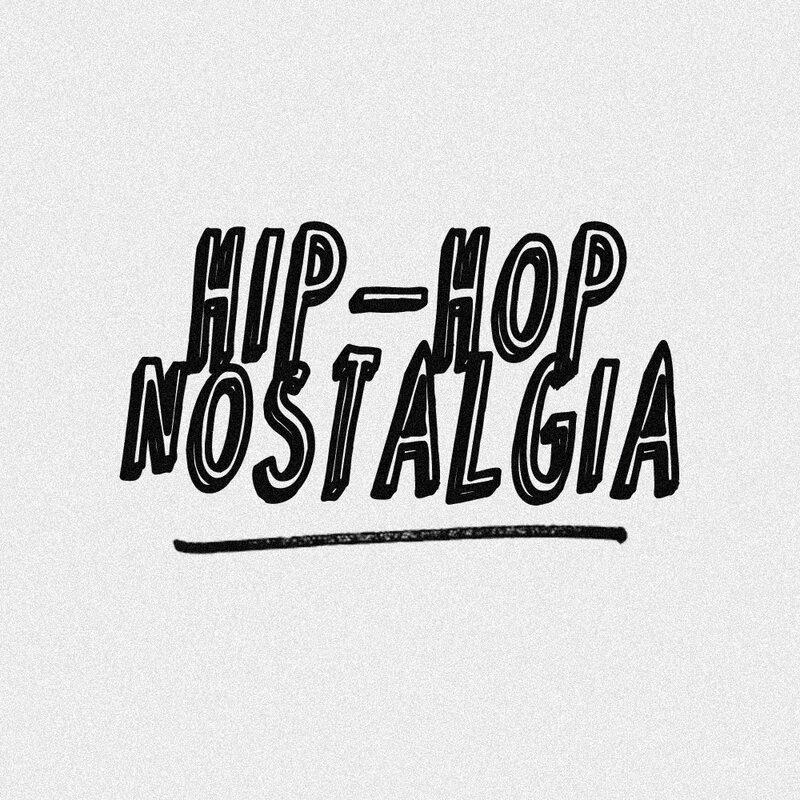 Entirely produced by DJ Premier, the album was released through Payday and is an important piece of the Gang Starr Foundation's legacy. Jeru linked with Gang Starr around 1989 and a few years later he was featured on the posse cut, 'I'm The Man,' from Gang Starr's 'Daily Operation.' However, it wasn't until '93 when Guru included 'Come Clean' on an Ill Kid Records sampler that the buzz for Jeru really began to grow. In '94, Gang Starr dropped another posse cut called 'Speak Ya Clout,' off 'Hard To Earn,' and I was feenin' for that Jeru debut. As for Premo: "While his name isn't on the front cover, producer DJ Premier is as essential to this album as Jeru himself. 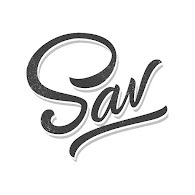 Primo is already a legend in the beat field ... but with Jeru he goes further against the grain with a collection of simple but dense beats. He uses flutes, harmonic discord, bugged-out sound effects, even static to fill in his compositions." The Source/Miss Info adds, "As for Jeru, the music both contrasts and compliments his disjointed flow and deep poetical lyricism." From start to finish, this is a masterful album displaying both beats and lyrics in razor sharp form. For many, this is not only their favorite DJ Premier-produced album but their favorite album as a whole. 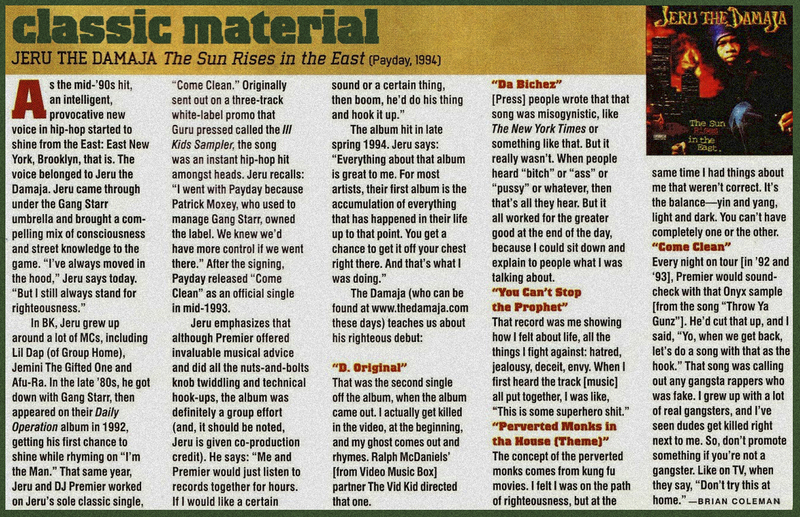 Years later, Brian Coleman would revisit 'The Sun Rises In The East' for the 'Classic Material' album review up above, check that out and below is the You Must Learn episode with Jeru the Damaja taking us track by track through the album, discussing stories such as: waiting and watching for Nas to create Illmatic, his inspiration drawn from his family, friends, and predecessors, and lots more. This album still gets burn!